I don't really care too much about value. I decided awhile ago to go after all 3 Spawn: Origins collections (TPB, HC, and Signed/Limited HC). The LEs will have value, but it's more about completion than value, to me. I just started collecting TPBs, and HCs, last month. It's really nice to have stories in a single reading format than buying 6+ issues. The downside - it seems that not a lot of these collections have the covers. The Spawn TPBs don't, but the HCs do. It's also great for sharing. Instead of loaning my friends a stack of comics, I can give them a couple of books. I still love having runs and reading through them, but for stories that I have (or plan on having) slabbed books, the TPBs and HCs become more and more sensible for me. It's also a lot easier for me to locally find single issues than books, too. There are 5 stores within 5 miles that have comics and books, but I've already found and bought pretty much everything they had in stock that I'd be interested in. For a while I was doing a good job of keeping up with all of the Marvel Omnis, but once prices started to go nuts, I sold most of them off. At first, this seemed like a genius move, as they begin to reissue most of the pricey volumes. For instance, I'm still pretty happy about my decision to sell off Howard the Duck when you could get $200+ for it. But there are several that have yet to see a reprint, and it looks like chances are getting slimmer with every passing year. Of course, as the format has gone on, they're printing more and more material that I don't personally believe is worthy of the format, so I never would have had a "complete" collection anyway. Here's what Santa brought me this year, hardcover wise. I also got the lastest Don Rosa Ducks gift set (my mother in law gets me the latest collection every year) as well as the latest Gottfriedson Mickey Mouse slipcase. Sweet books. 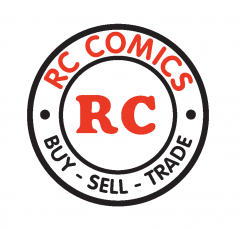 I'm super happy that DC reissued Infinite Crisis (prices had gone bananas on the first edition) as well as the Fourth World stuff, as I'd sold my original set of the Fourth World Omnibus hardcovers. I think I may have still preferred the paper and size of those four individual collections, but this honkin' huge Omni is still pretty sweet. That is the point I made earlier. 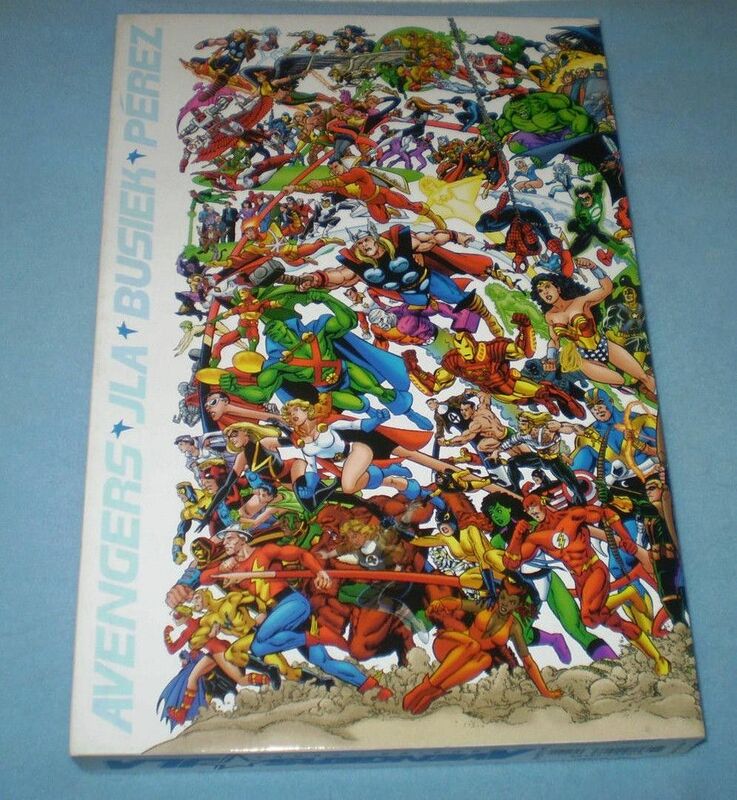 The JLA/Avengers Slipcase (they didn't call it an Absolute back when it was made) decided to have 2 books inside the slipcase, the first being the actual content, and the second being a compendium of all sorts of additional info, which is nice since there were lots of hurdles for this 2 publisher event. CoIE Slipcase (again predating the Absolute moniker) also took the 2 volume approach to included a range of extras in it's compendium. It also did a nice job covering all the tie-ins, lead ups, and aftermaths from this seminal event. 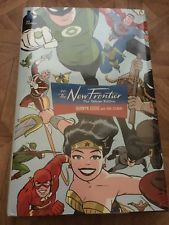 The other collected edition that I thought really knocked it out was the more recent (2016) New Frontier hardcover (not the absolute). at 500+ pages it would be an unwieldy Absolute to sit and read (and having previously owned the absolute, I can confirm yes it is unwieldy) . In a regular 6x10 dimensions it's an easy read. Part of what keeps the weight down is that the publishers decided to forego glossy heavy stock pages for lighter non-glossy pages (not news print, but something akin to its roughness and ink uptake). Which I like for this retro-style content, give me a retro-style paper! Yup, and the thing is, it's actually one of my favorite Omni's, content wise. I love that run. But when the price spiked I had to sell, and now there's more than enough supply to meet the demand. Now, if they'd just get around to reprinting the Captain Britain and Eternals omni's, I'd be happy! Ah, Gerber and Colan. And Brunner was no slouch. Does anyone know how to tell the difference between 1st/2nd/3rd/etc editions of the Spawn: Origins hardcovers? I bought Volumes 9 & 10 for 75% off recently, and I'd prefer to own the 1st prints. I'm guessing that there may be a standard for how to tell edition of books? Is there a method for distinguishing TPB editions, too? One of you has to know! Plz. Edit: Yes, I did Google it. I guess I'll have to check if anything is in the copyright when I get home? If anyone actually KNOWS, though, that would be awesome. Thanks! It's a cute little thing, good for fooling around at home. I've also got the Fender Rumble 200 that I've been using for gigs for a year or two now, and I really like it. Who knew they could ever make such a lightweight solid state amp that would sound so good? I used to drag around a 6' tall classic Kustom amp, which is beautiful and sounds great, but is a pain in the @$$ for gigs. I'd been lugging that monster around for 25 years, but my back thanks me for the switch to the Rumble 200. 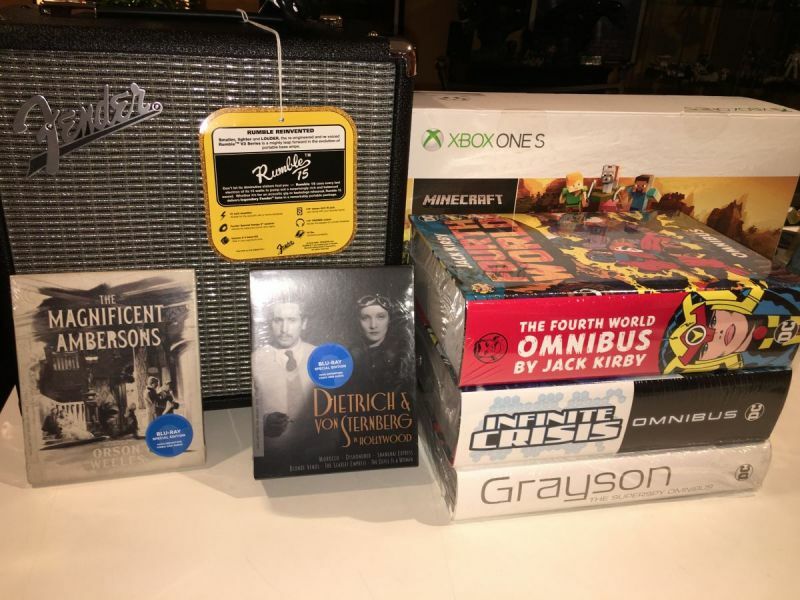 But since the 200 mostly lives at the band practice space, I asked for the 15 to keep at home, and Santa came through! I'm not a fan of the Omnibuses because they're just too unwieldy. I read a lot on the train or on the plane or at lunch, and I'm not lugging those things around with me. And Marvel printing is crummy, and the spines tend to break. I think this book is going to be a whale good pick up! How much you pay for this i just picked one up the exact edition for 129.99 but I see the going rate on amazon and ebay around 189 or 200. This Absolute DC is out of print and I dont see them reprinting this again. To be honest I don't think a lot of books are gonna be reprinted because its just a waste of money to the companies unless there is a tie-in movie or something going on at the time. I heard the Spawn Omnibus are pretty expensive to get right now and If a Spawn Movie is going to be released soon I can see the price skyrocket. Also you can pick up the First Apperance of Carnage Amazing Spiderman #361 for pretty decent price in TB on ebay. If the Carnage Venom movie is a hit I can also see this comic single skyrocket too. The JLA/Avengers Slipcase is hardest to find, in auction it seems to be going for around $150-175 with the occasional higher outlier. Every now and then you can find a BIN for under $100, if you do grab it. Watch for splits on the slipcases (mine has a small one). The IP rights on this have to be a mess, no way it's gonna see a reprint any time soon unless Marvel buys DC. The COIE Slipcase is easier to find and can typically be found for $75 on eBay if you wait for an auction or a non-crazy person BIN. The production on this one is better, so splits are less common. 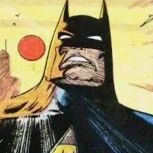 I think COIE will get reprints as they been tying back to the multiverse and the "crisis" for decades now (Infinite Crisis and so on). I think Hardcovers will continue cause they'll always have a market, and considering that a good % of their sales are via Diamond pre-orders they have sure sales based on their print runs. Also part of their IP ownership sometimes involves keeping a story in print (like Watchmen) so it's in the publishers interest to keep it in print. In early 2000's Marvel and DC tried really hard to go the e-book route and it worked for a little bit because I remember getting tons of email and apps to download those e-books and you can get a bunch of comics on your tablet or phone but its just different seeing it on a screen vs in your hand. 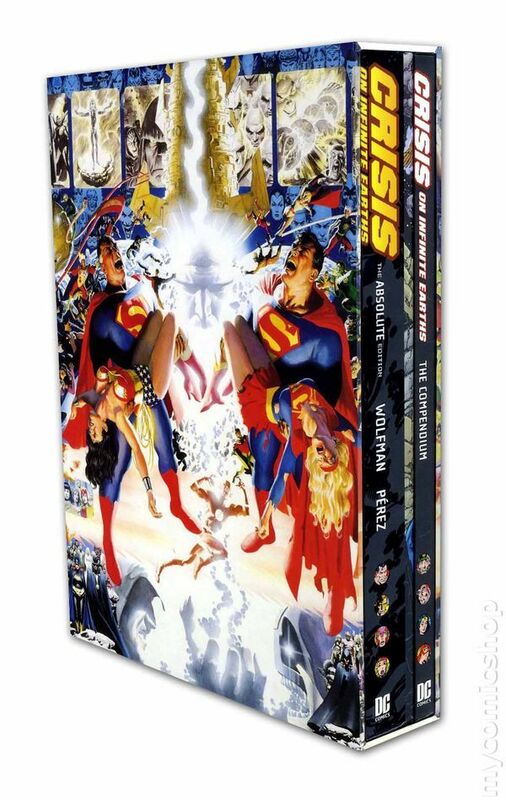 Now I am kind of freaking out that you said that DC Edition so the version I got is this the one that is out of print? I have many Archive, Masterwork, Omnibus and Absolute editions, but simply ran out of storage space. One reason I went digital. Thats why I just try to keep the valuable ones and get rid of ones that I read and convert those to digital copies. Obviously there is no way and no point having 1000s of omnibus but keeping a good 100-200 books max seems feasible and just sell them off and get new ones as they increase in value or keep the ones that are priceless down the road. FWIW, I got into marvel masterworks some time ago, and, even thought they are reprints, they can cost one pretty penny to collect. Enthusiasts consider them to have the best reproduction quality of the marvels, and they are not as wieldy as the omnis. I can pick up any comic off the a e-book and read it there but yes I usually don"t open these OOP omnibus to be honest. I started collecting and stock piling on these and waiting for the value to go up. Thank for the info and confirming this is the OOP edition. I think I got a good snag for 129.99 plus shipping to be honest when everywhere else the going rate is much higher. IF YOU GOT THE CASH TO THROW I WOULD RECOMMEND GETTING THIS BEFORE IT GOES OUT OF STOCK. I wish Marvel would hurry up and reprint the Acts of Vengeance omnibus so I could get a copy without breaking the bank. I personally love collecting certain editions of the Absolutes and Omnibi. I also enjoy other smaller HC collections and especially the original early 80’s TPB’s. I bought a few Marvel Masterworks when they first came out. They were fun. i have one Omnibus, The Hulk, and yeah, it's too big, bulky, and heavy for my tastes. I've been buying the EC Archives hardcovers as they come out and the Complete Carl Barks Disney Library as they come out, as well. Great stuff. Reprinted well, except the color can be off on some of the stories, depending on the colorist being used. I recently started buying the Invincible Ultimate Collection, to see what all the fuss was about. It's pretty good; but a little gory for my tastes. I am interested to see where the story develops so I'll likely buy a few more. For Christmas, I got myself the first three slipcase editions of The Complete Peanuts. These are awesome; every Peanuts cartoon from 1950-1962 so far. Hours and hours of reading, and the never-before-reprinted early strips are fascinating, watching Schulz discover, develop and define the core characters (Did you know the first characters were Charlie Brown, Patty, Shermy, and Snoopy? No other characters for awhile until Violet showed up, and then later Schroeder. Lucy doesn't even show up in the first year). I'll probably buy 2 more slipcases to get 1963-1970. I buy these items like I buy my comics; for reading enjoyment and not for resale value. So second editions, etc. are fine by me.